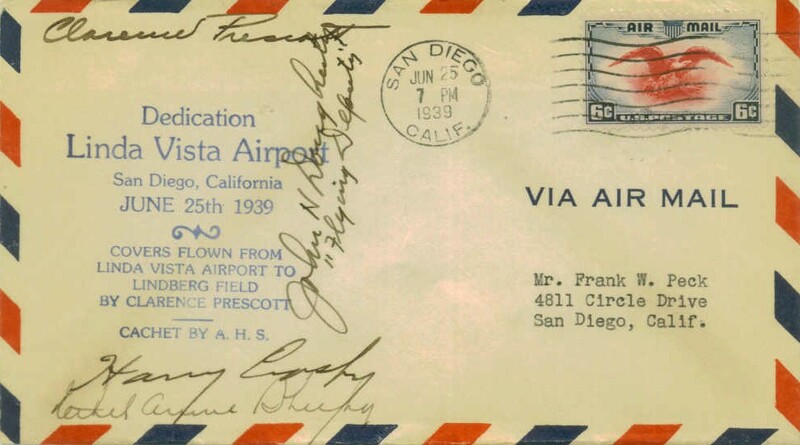 Aviator Glenn Curtiss arrived in California at San Diego’s North Island in the winter of 1910. 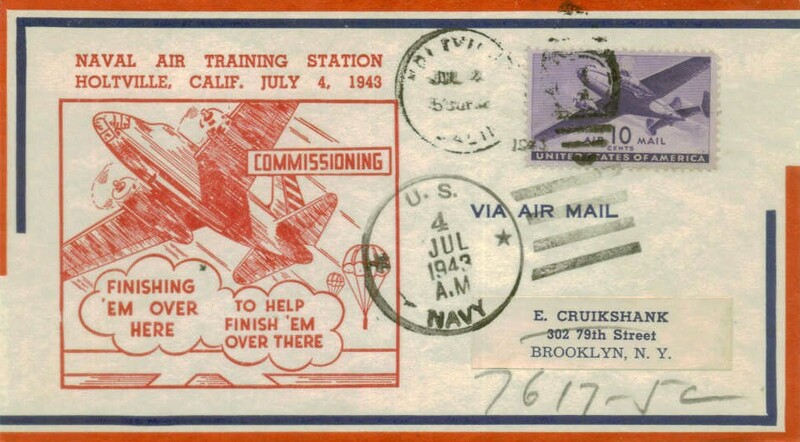 He invited the Army and Navy to send officers for free instruction as "aeroplane pilots." 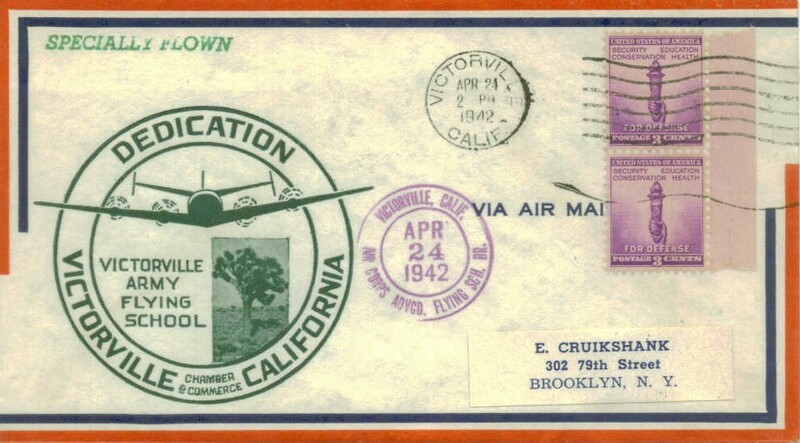 Curtiss established a private flying school with the cooperation of the Aero Club of San Diego. 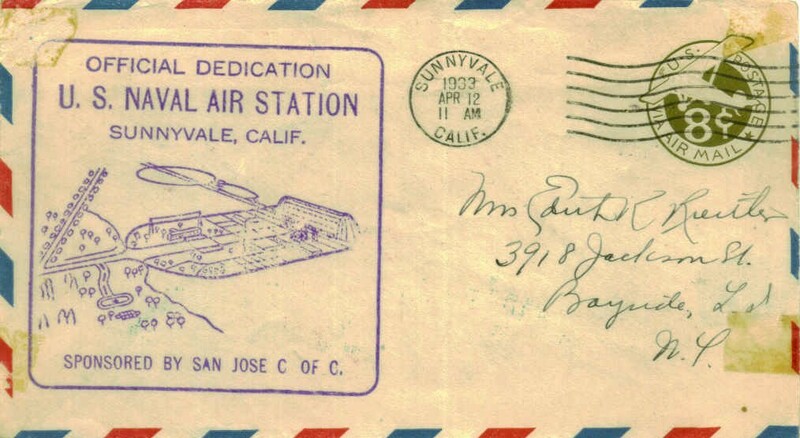 Many years later this site became the Naval Air Station, North Island. 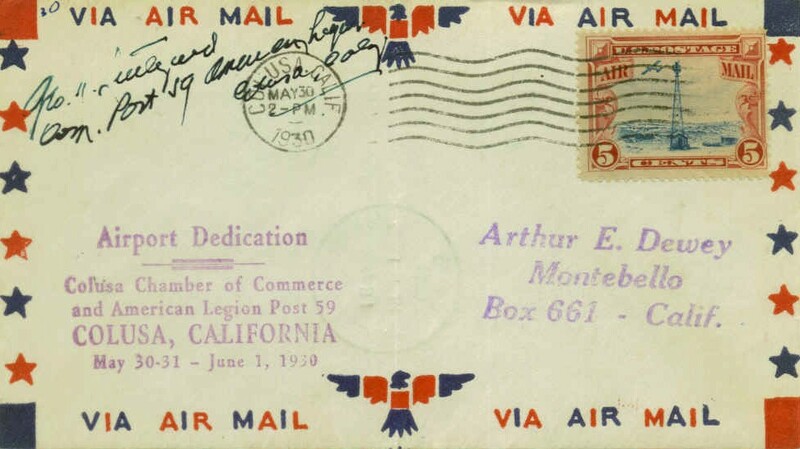 Eugene Ely returned to California and from December 24th to January 2, 1911 completed as a contestant in the Flying Meet at Dominguez Field, Los Angeles, California, as part of the Curtiss Team. 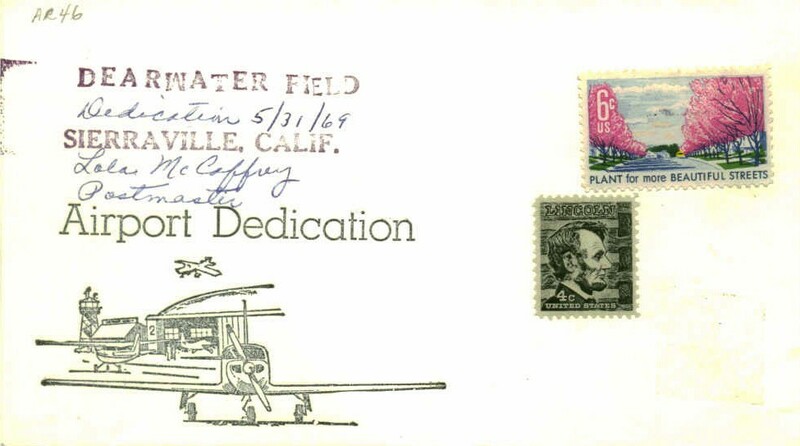 Among his team mates were Glenn Curtiss, Charles Willard, Hugh Robinson and Lincoln Beachey. 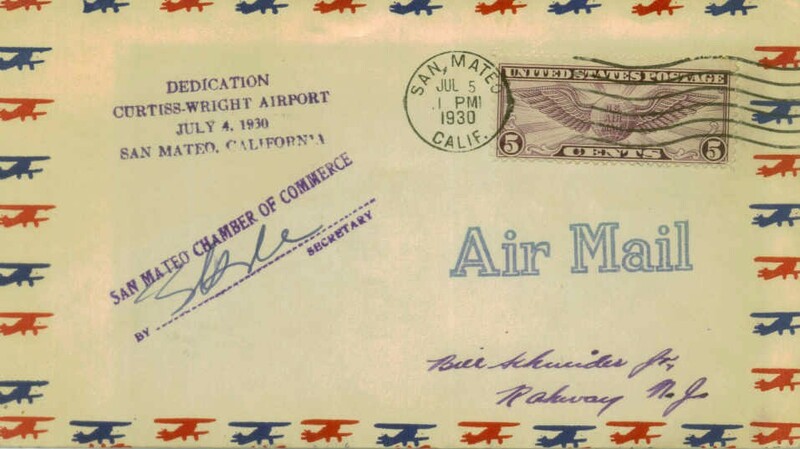 Competing against them on the Wright Brothers Team were Hoxsey and Parmelee and from Europe were Latham and Radley. 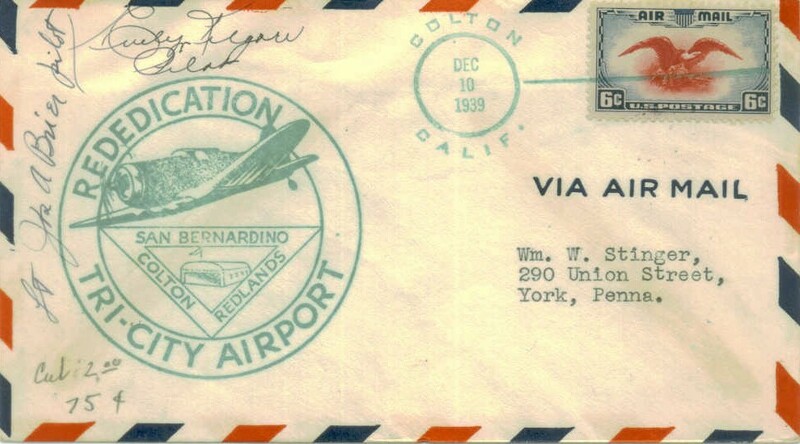 At this Air Meet California aviator Glenn Martin made his public flying debut. 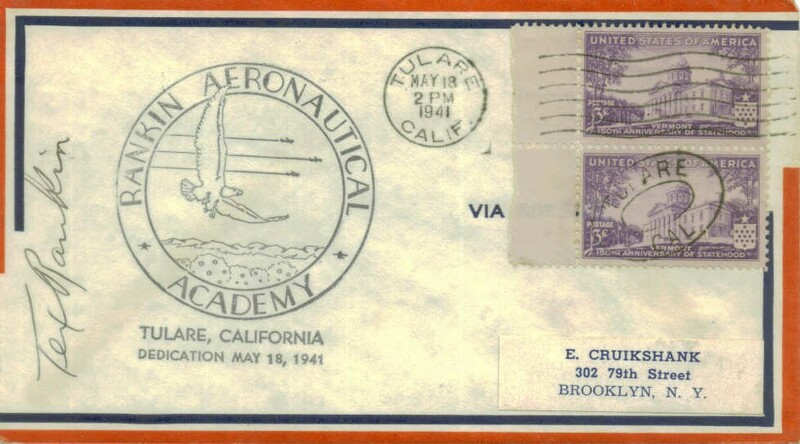 Ely made second best showing of the Curtiss Team. 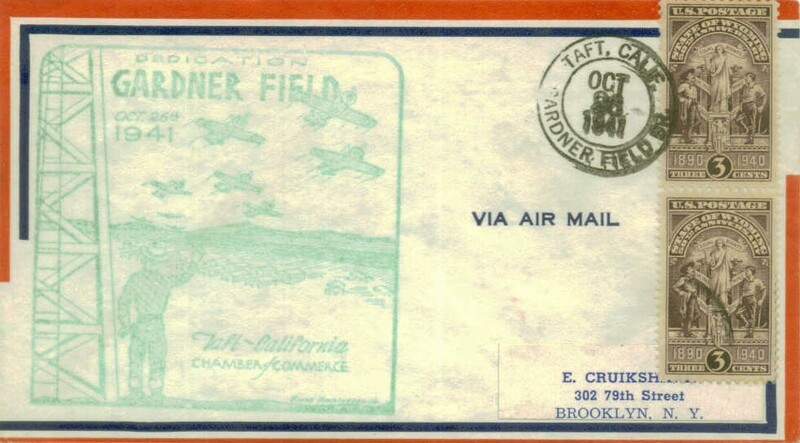 Five days later, Ely with the Curtiss Team competed as contestants at an Air Meet at Selfridge Field, San Francisco, California (January 7th to 25, 1911). 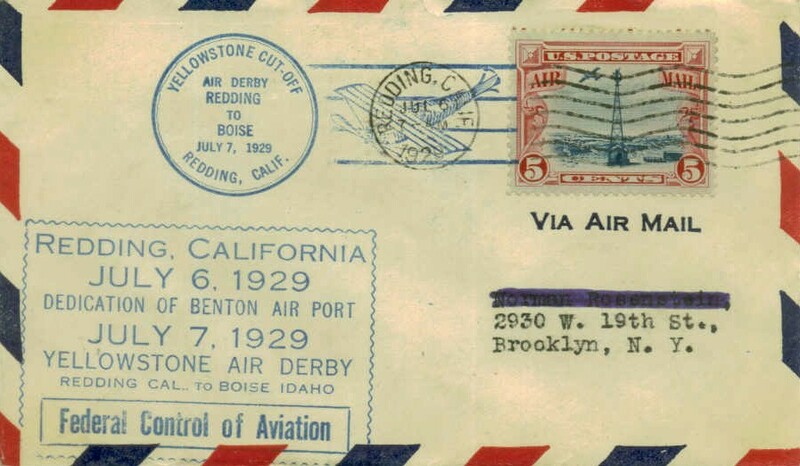 Also flying for the Curtiss Team were Willard, Beachey and Robinson, all of whom where competing against Brookings, Parmelee, Latham, Radley, Red Wisemand and Clarance Walker, in addition to a number of local amateur aviators. 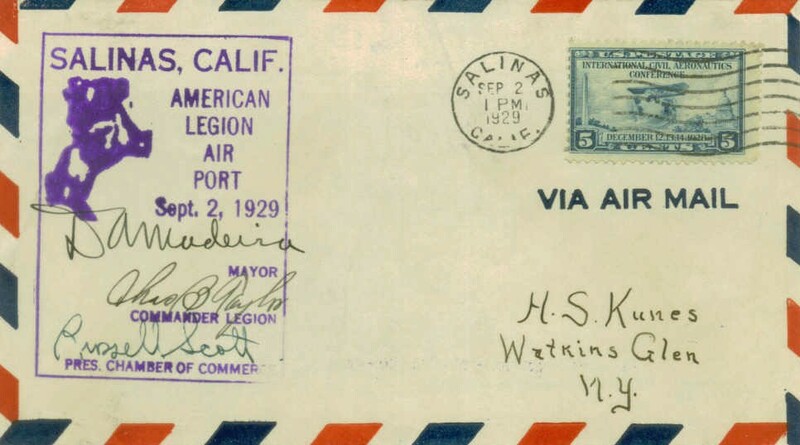 On January 18, 1911 Eugene Ely made his most historic flight when he flew from the Air Meet at Selfridge Field, circled several vessels of the Pacific Fleet at anchor in San Francisco Bay, then made a precise and perfect landing on an inclined platform on the U.S. cruiser PENNSYLVANIA. 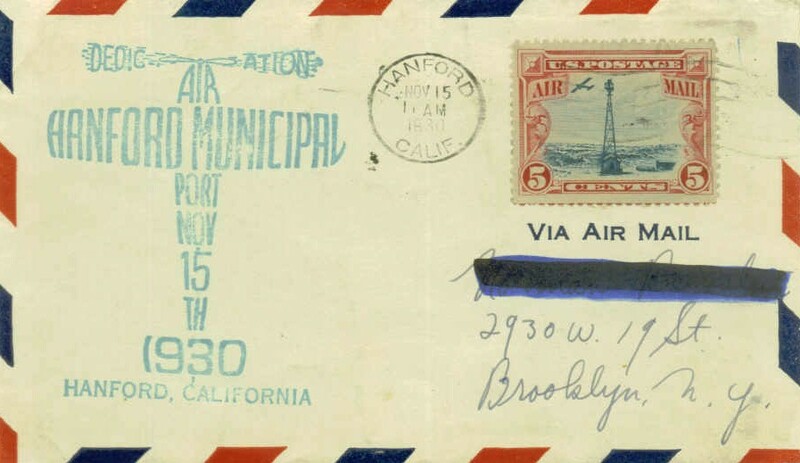 Calbraith Perry Rogers (aka the Pioneer Aerial Postman) flying his Wright Model FX aircraft (aka Vin Fiz Flyer) made the first transcontinental flight westward across the US. 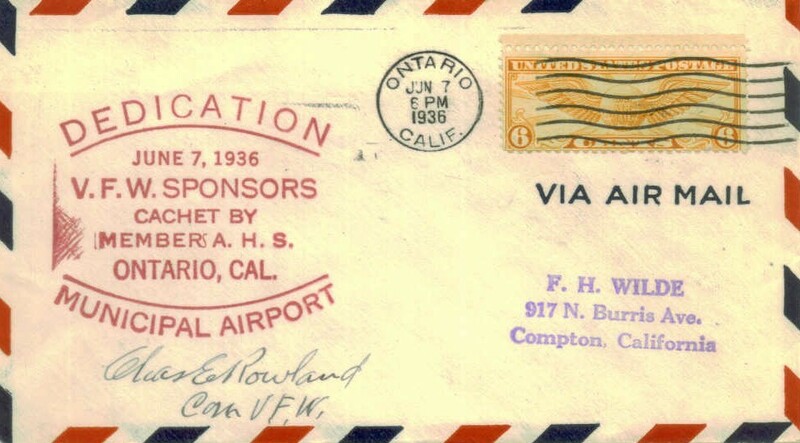 His flight was financed by the Armour Company who made the Vin Fiz soft drink. 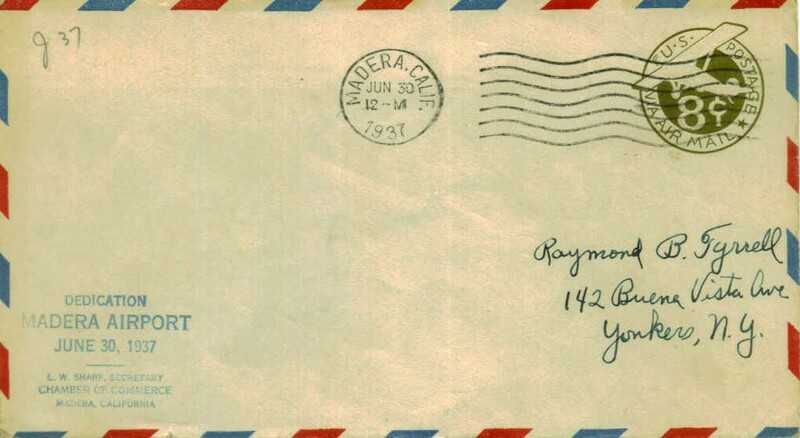 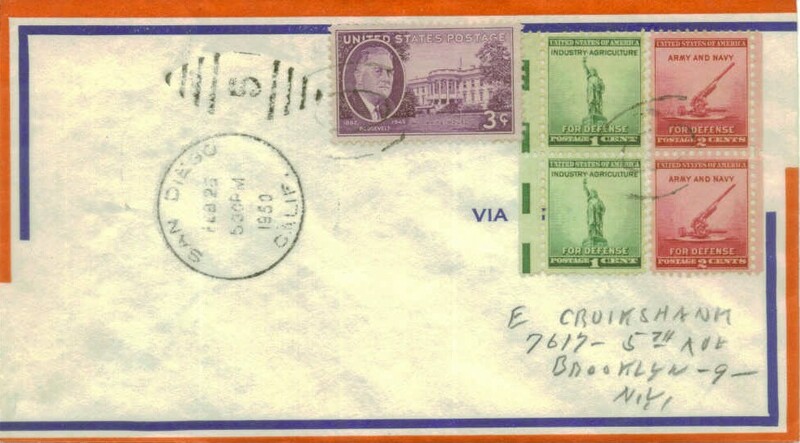 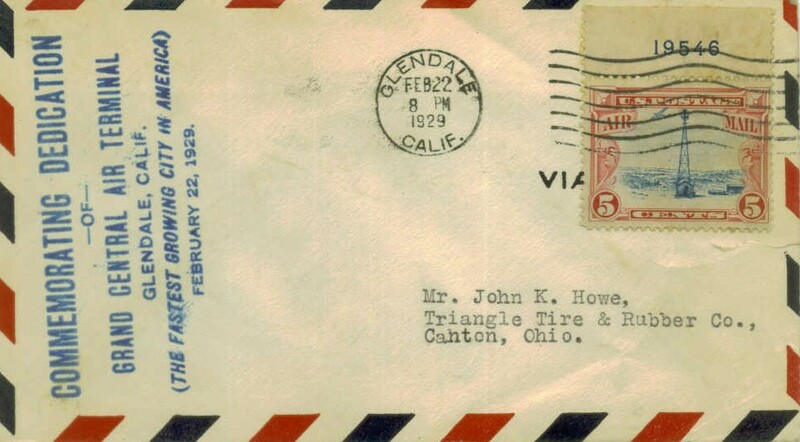 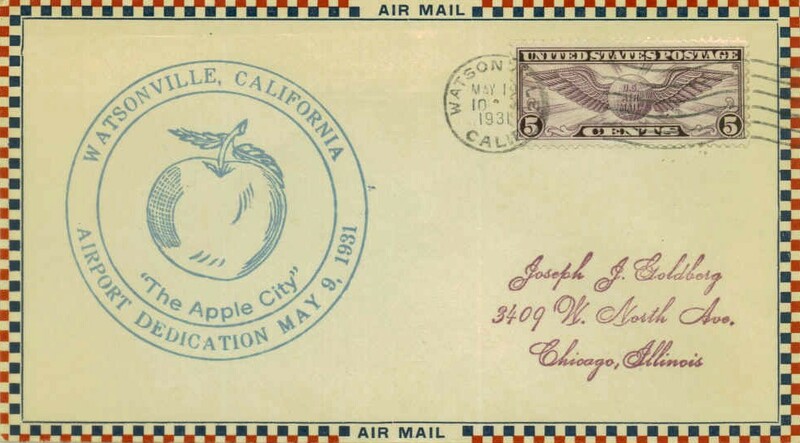 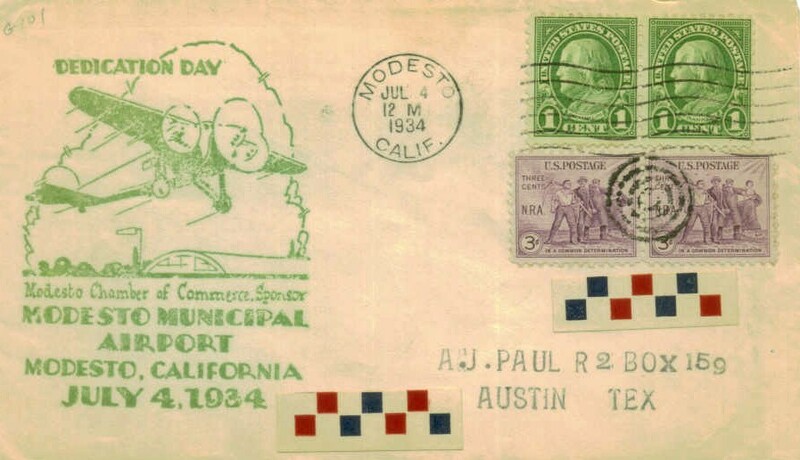 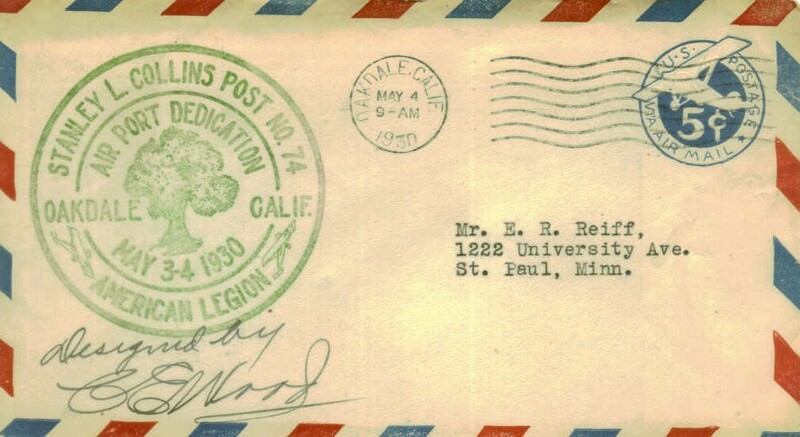 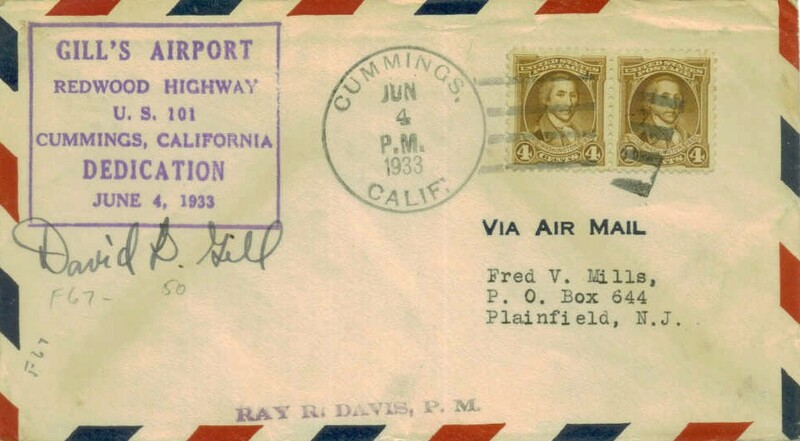 Cal's wife, Mabel acquired postmaster status for mail carried by Cal on various legs of his trip. 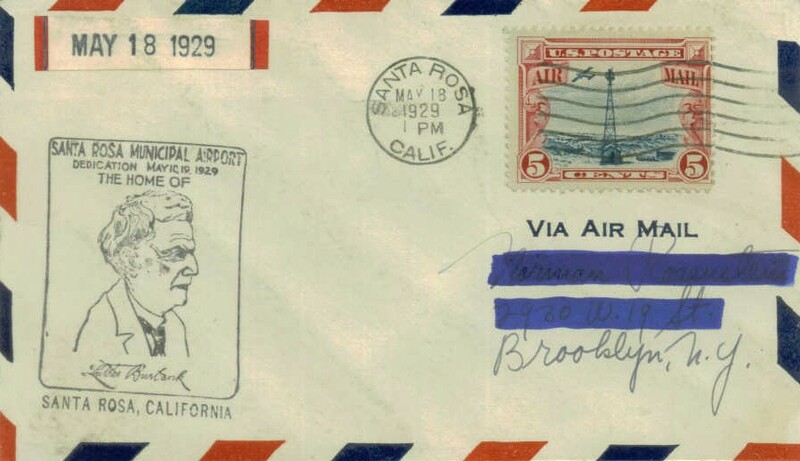 Cal's flight took 14 legs, 50 days (September 17 ~ December 10, 1911) and was plagued with accidents and injury. 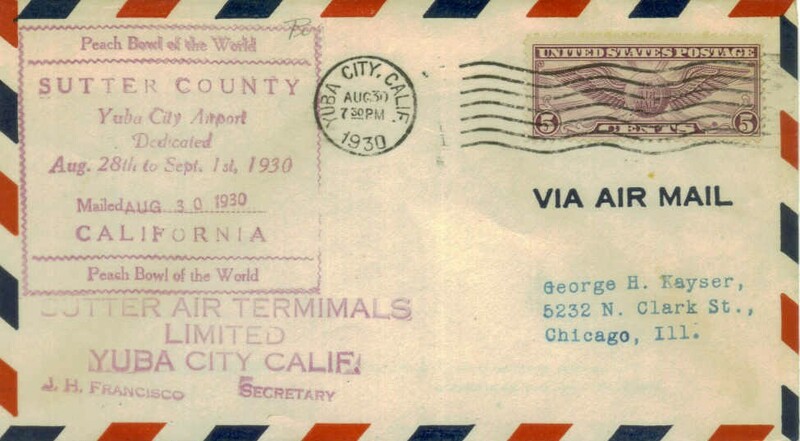 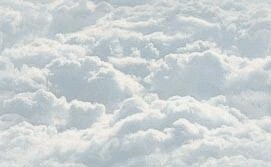 Sadly, Cal died in a plane accident while on the west coast in a flight over Long Beach California. 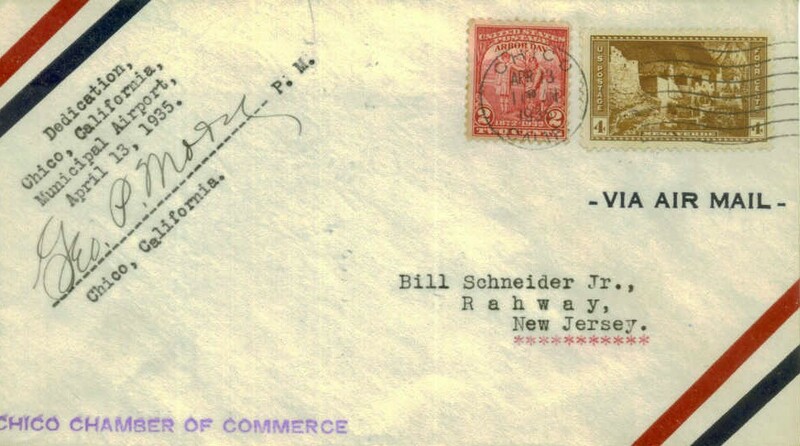 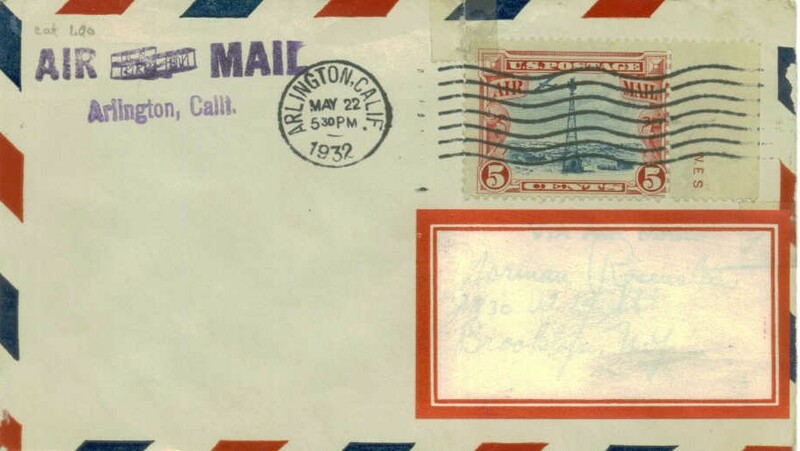 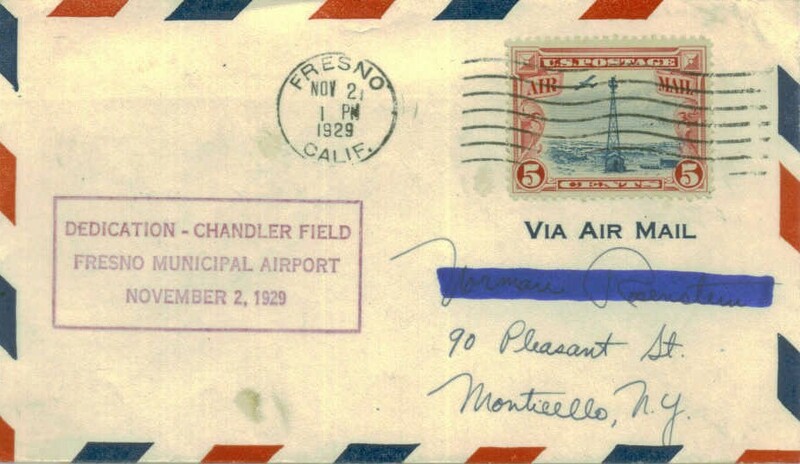 Postmaster William H Harrison established a postal sub-station on the grounds of Dominguez Field in Los Angeles. 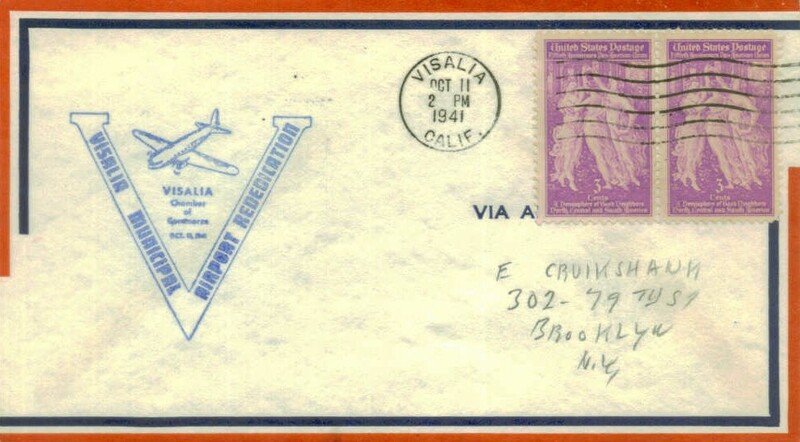 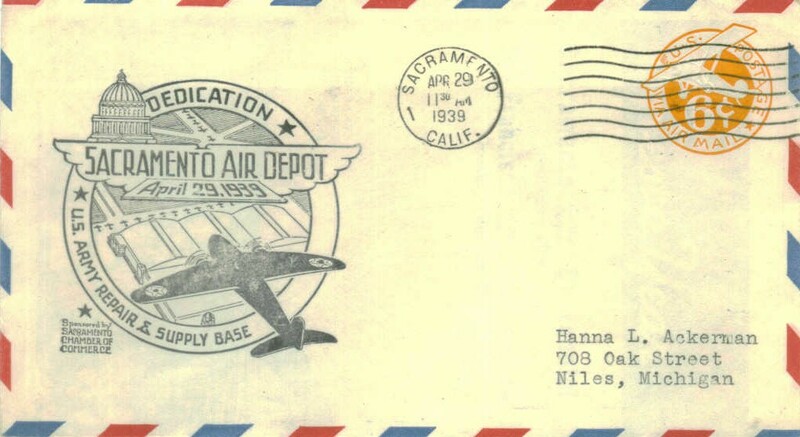 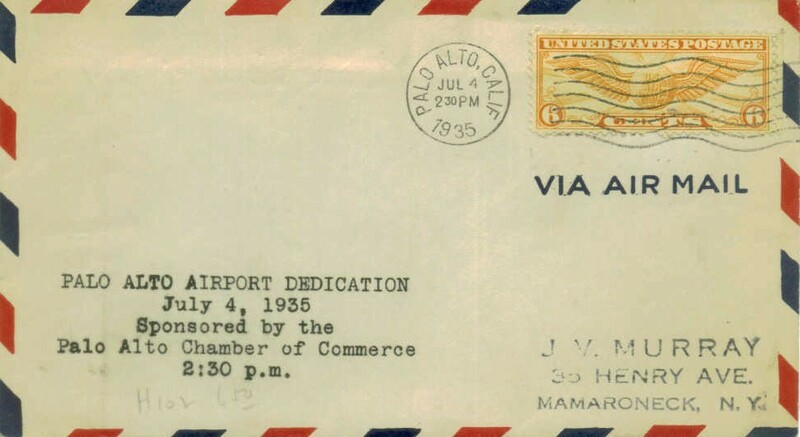 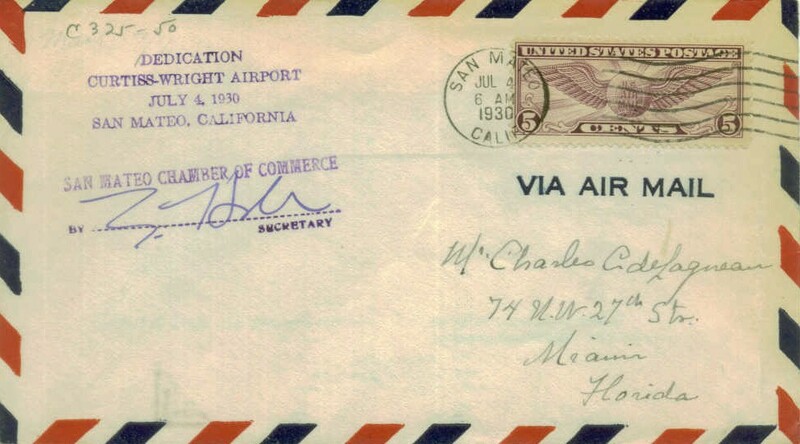 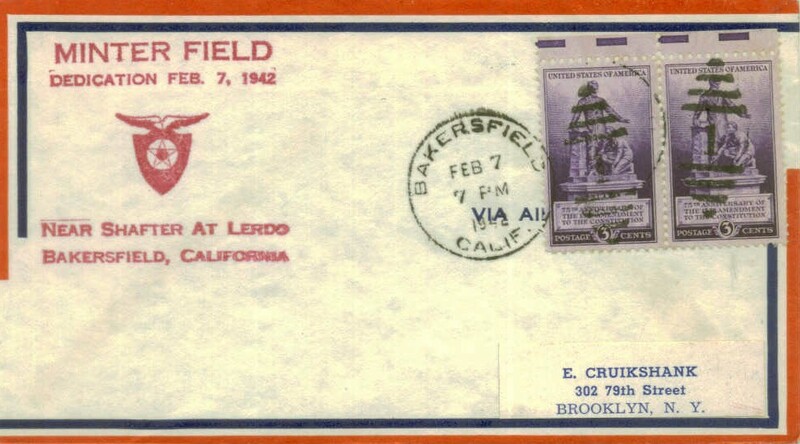 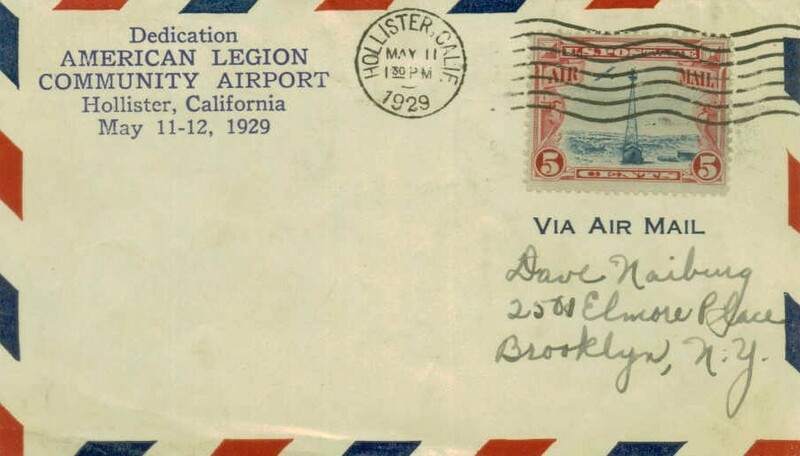 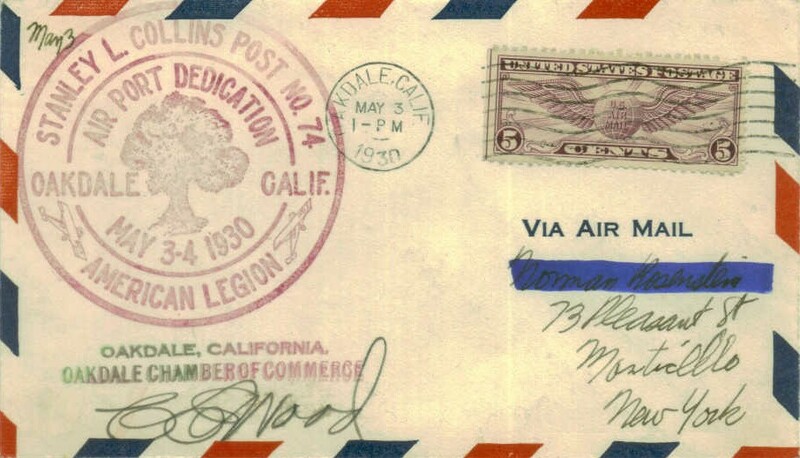 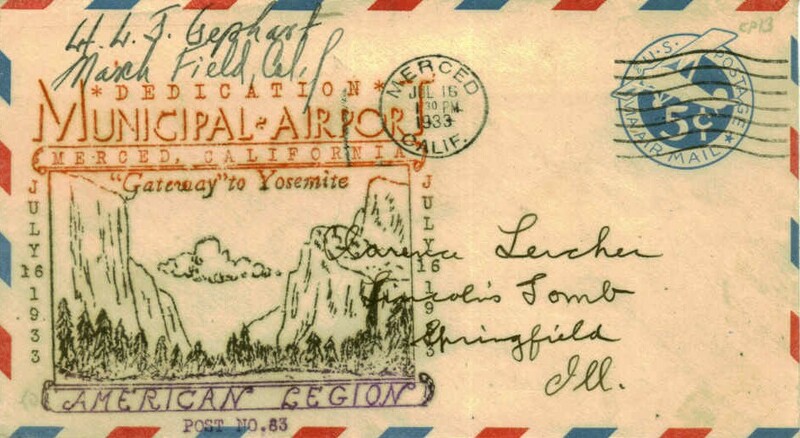 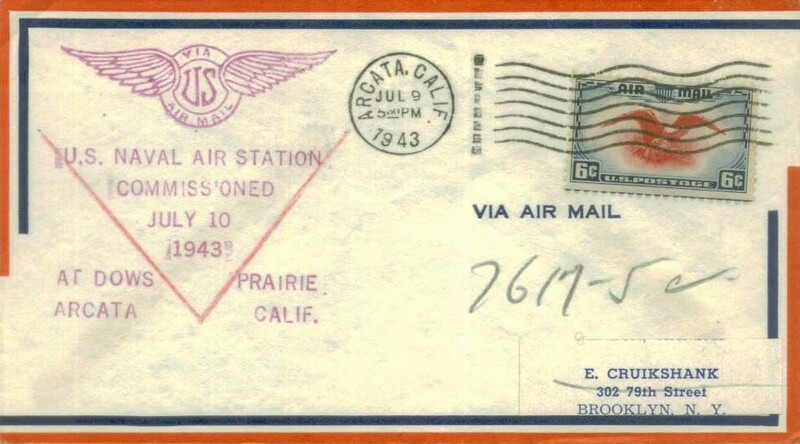 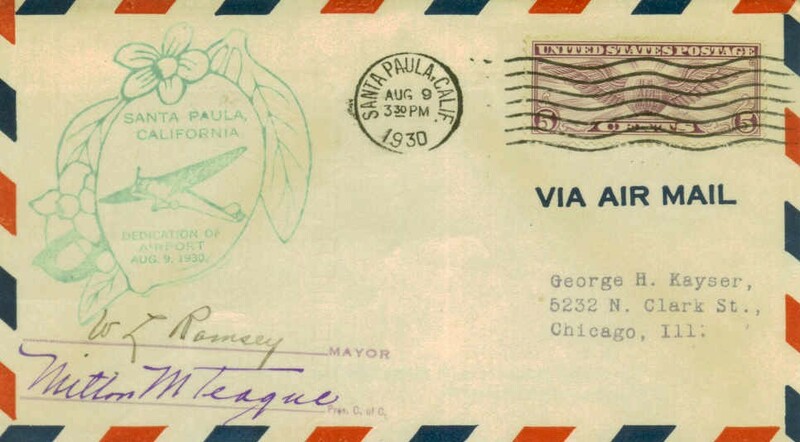 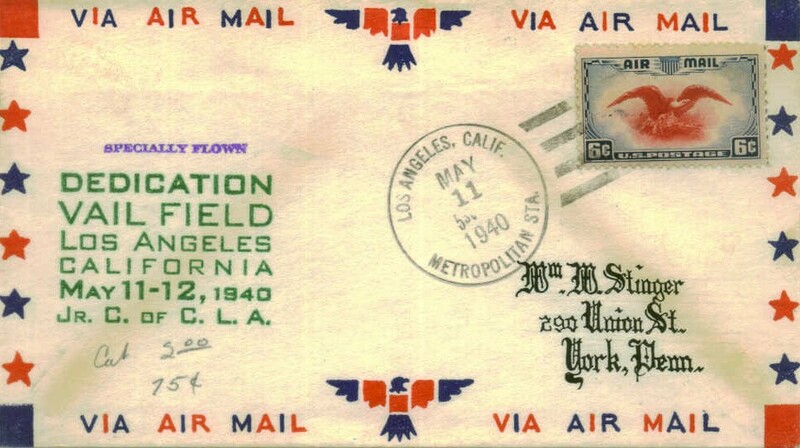 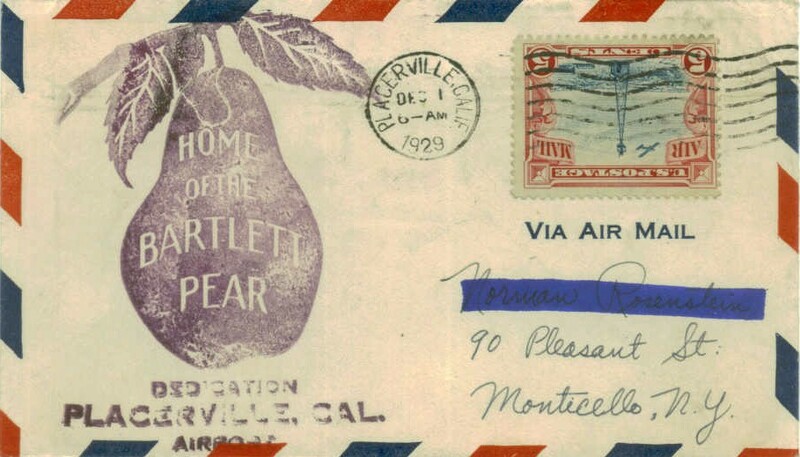 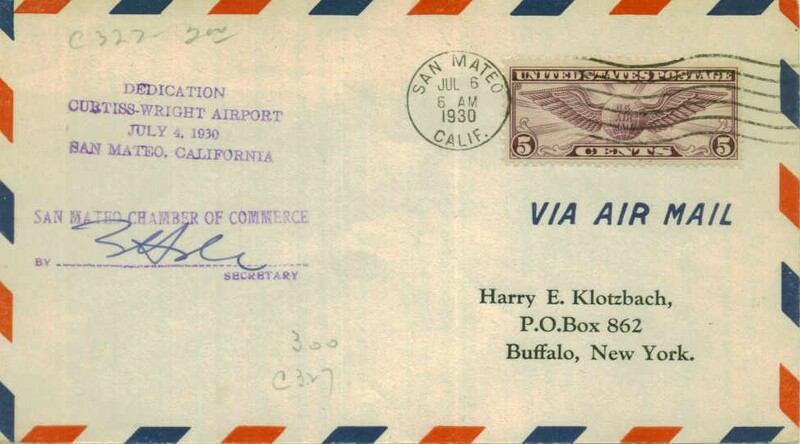 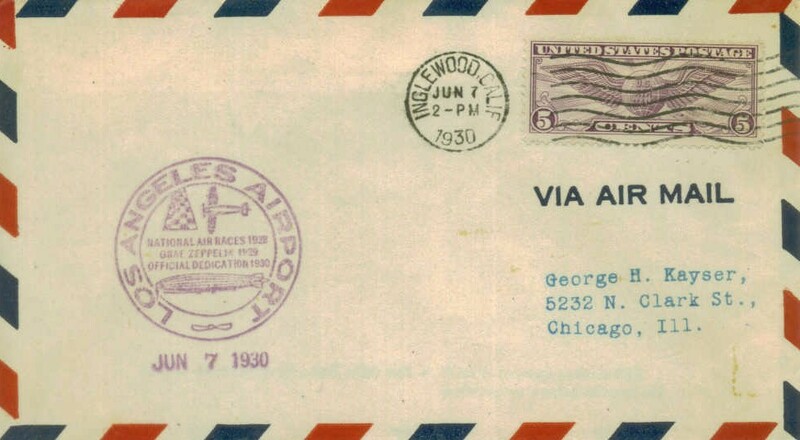 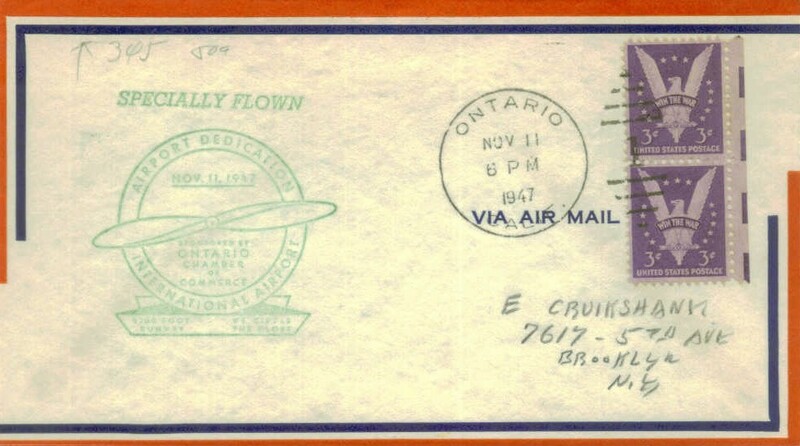 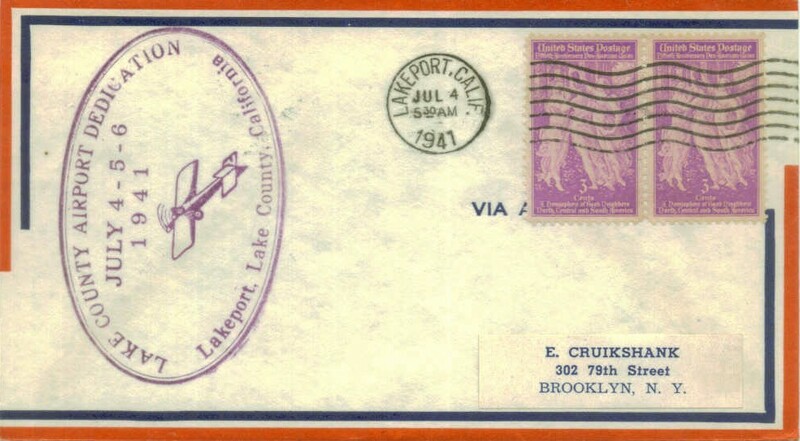 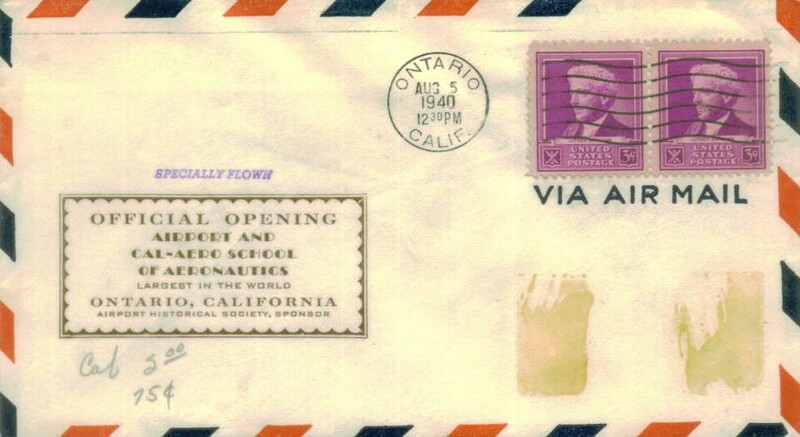 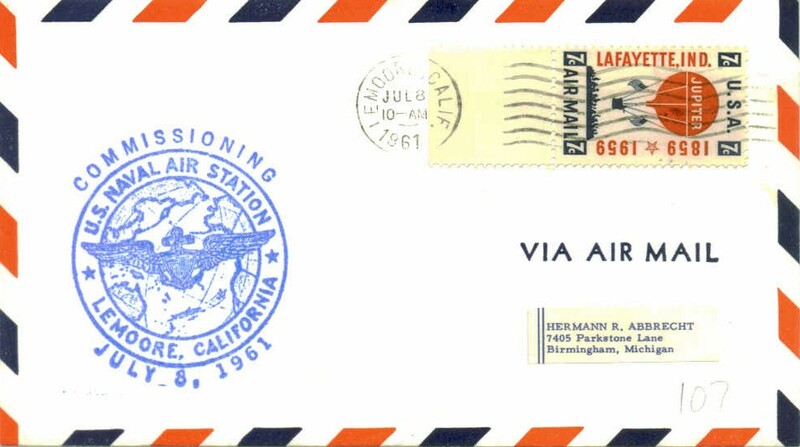 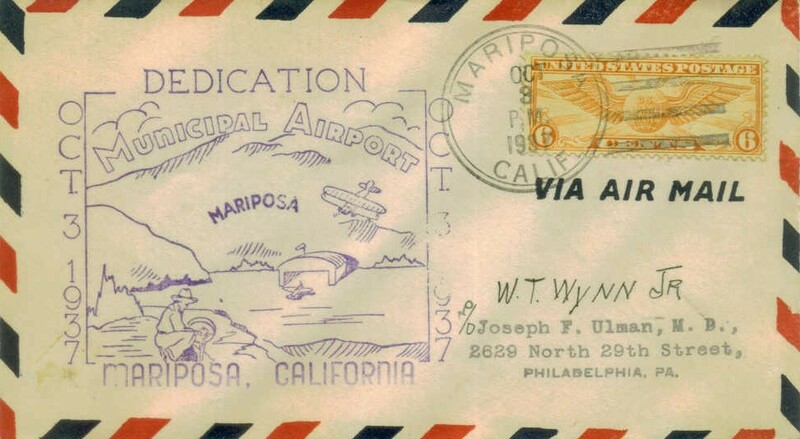 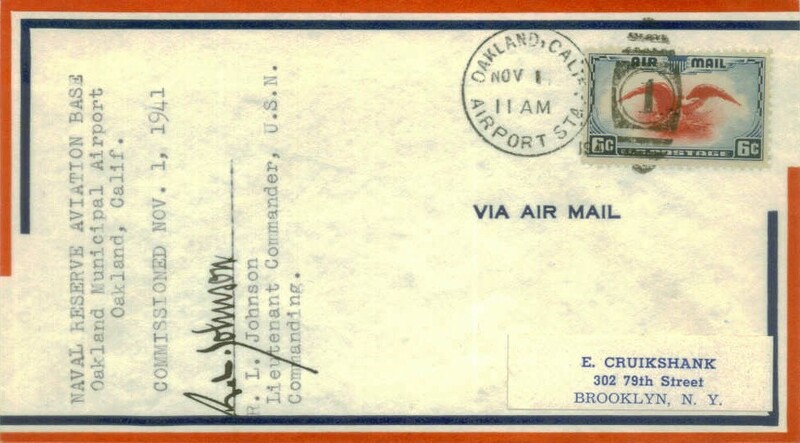 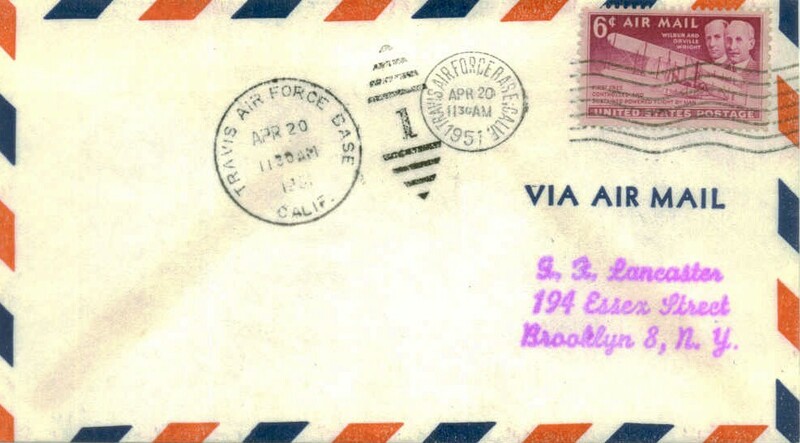 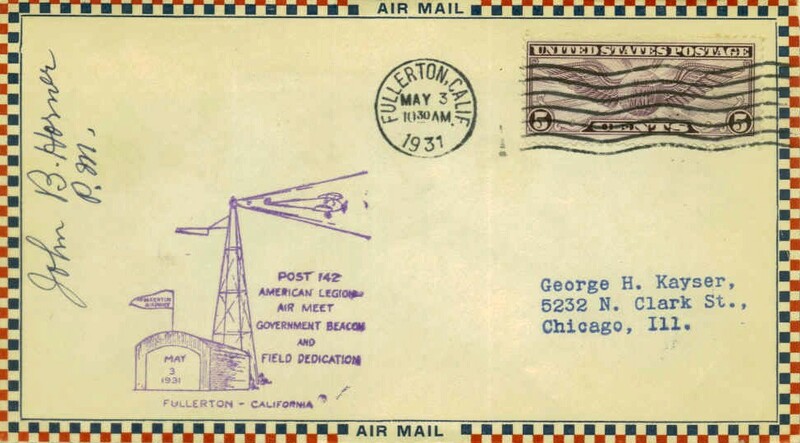 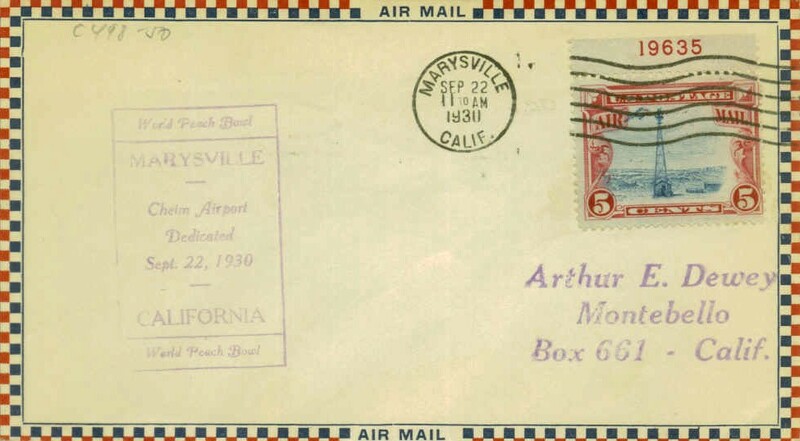 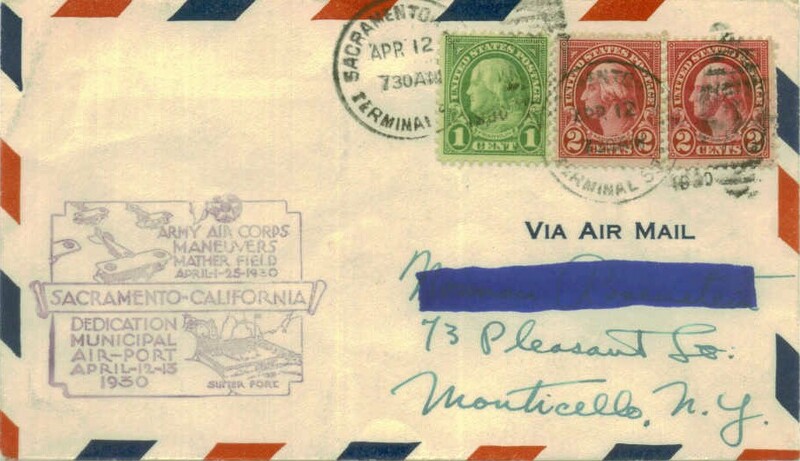 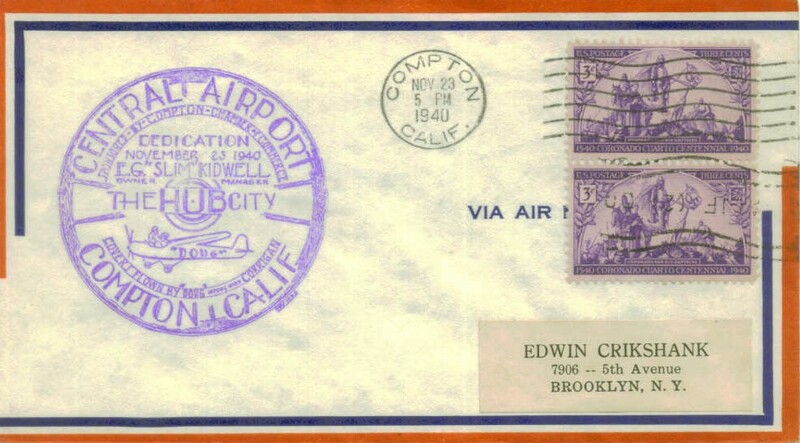 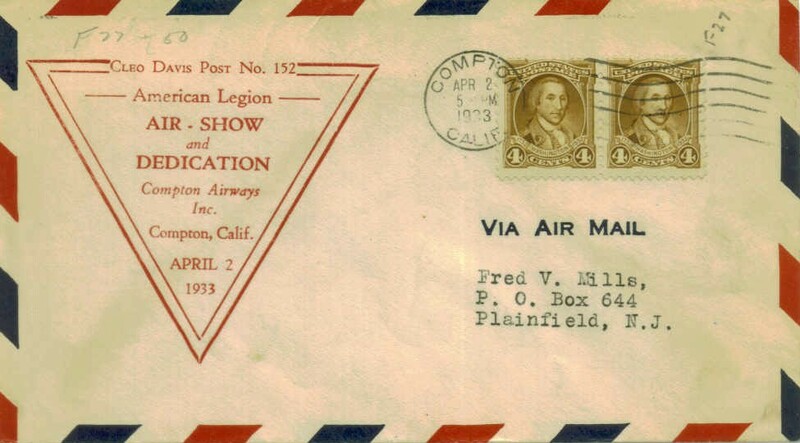 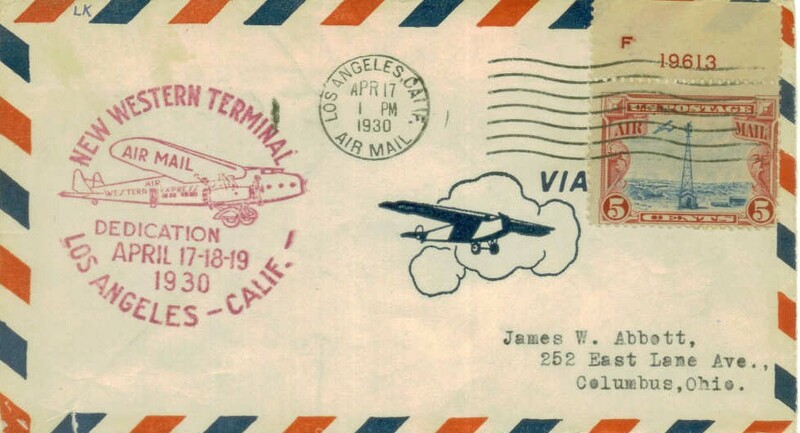 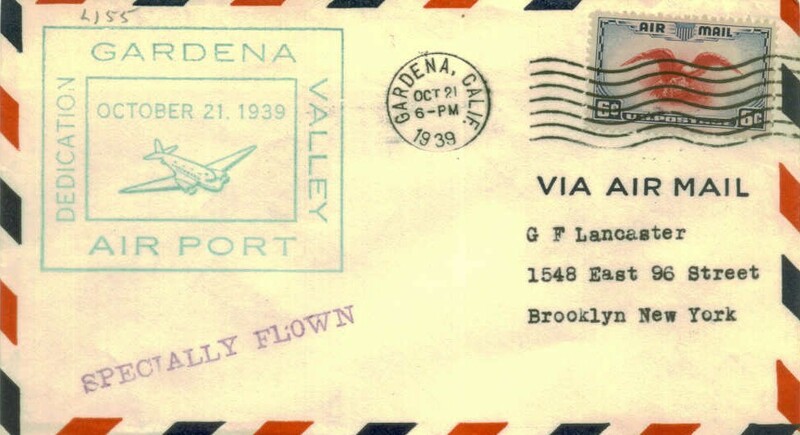 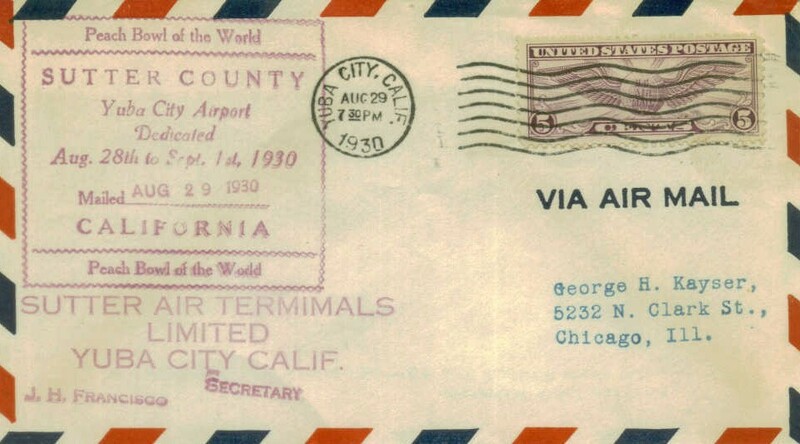 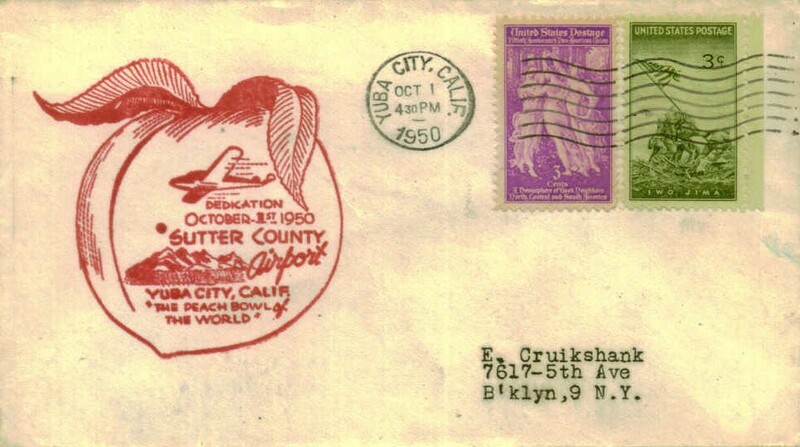 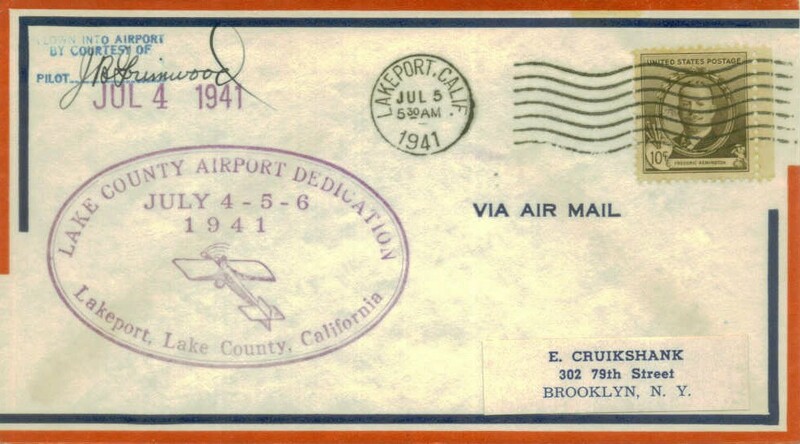 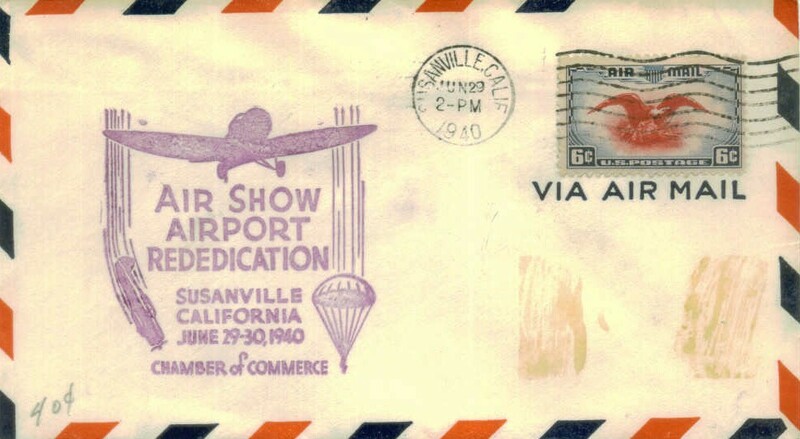 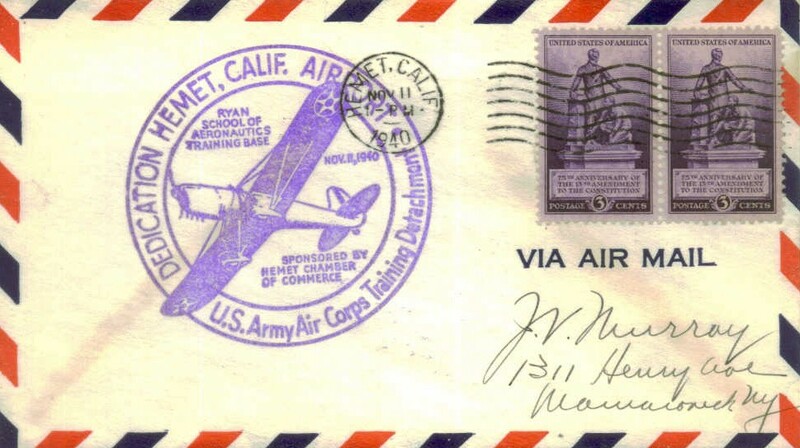 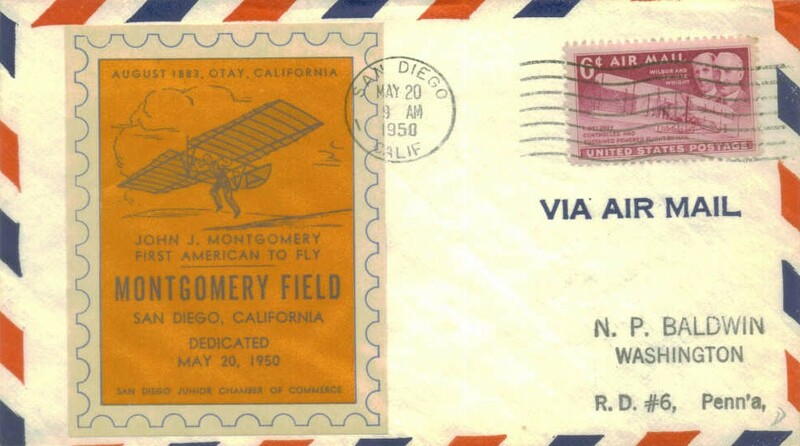 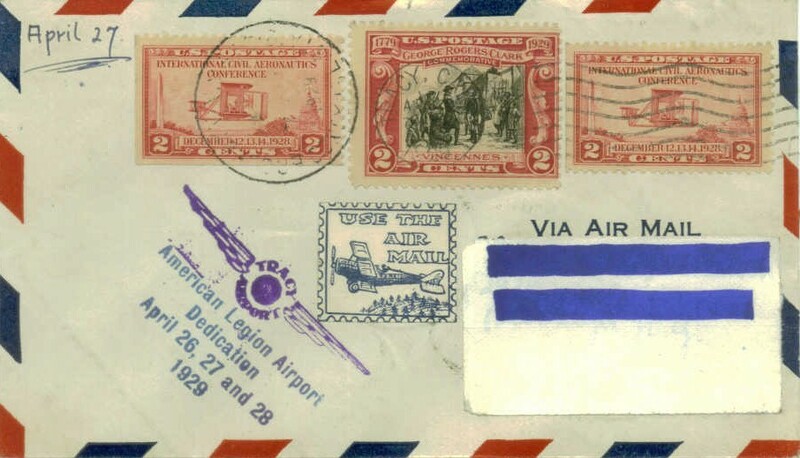 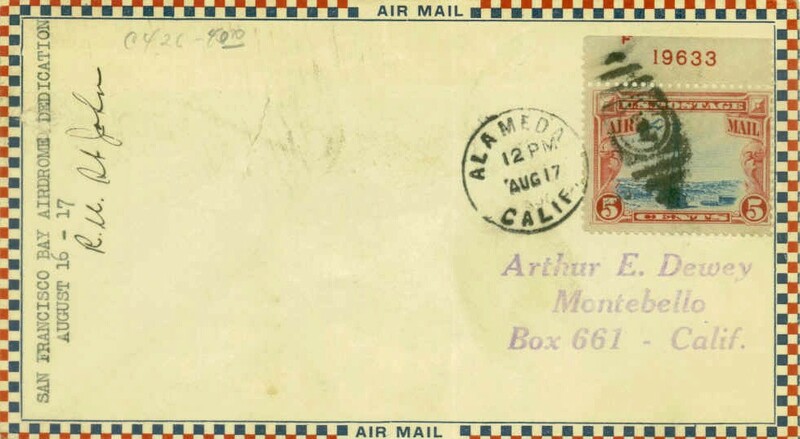 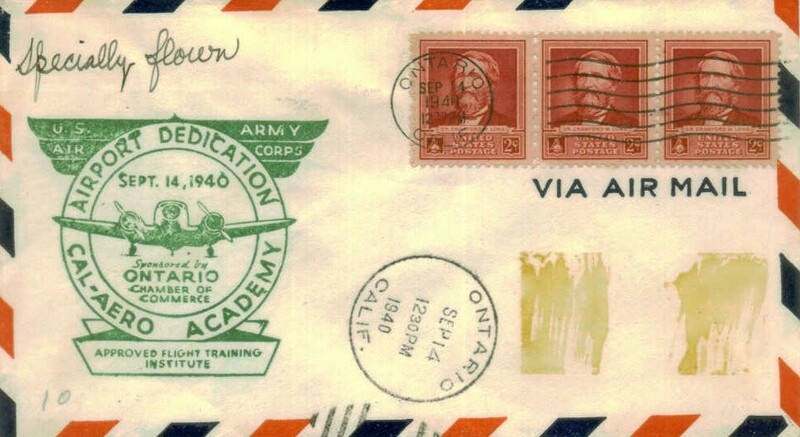 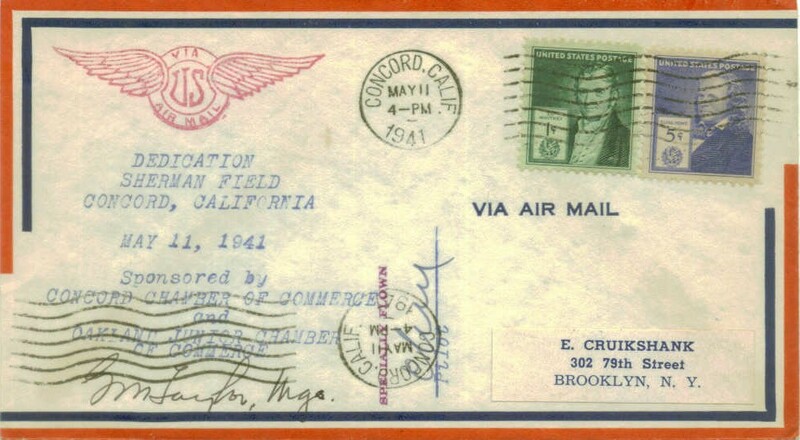 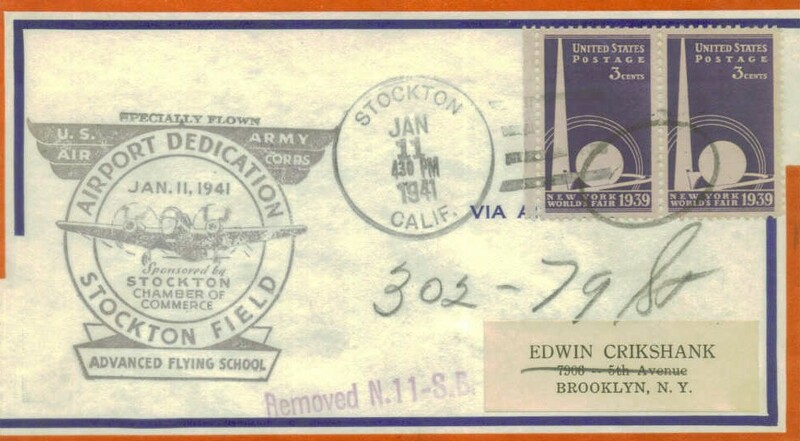 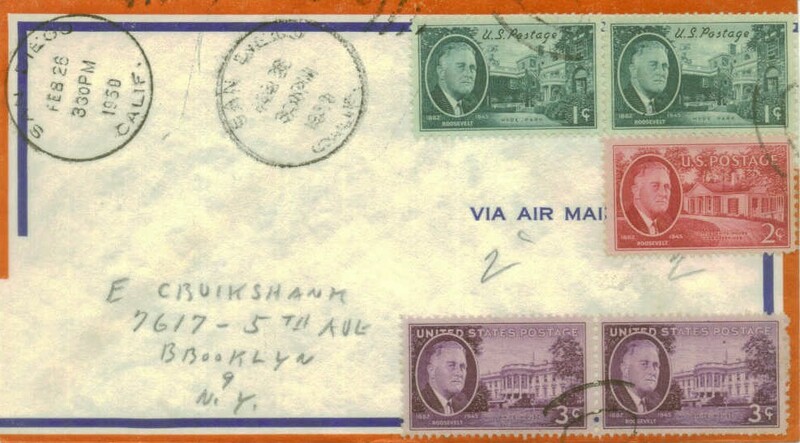 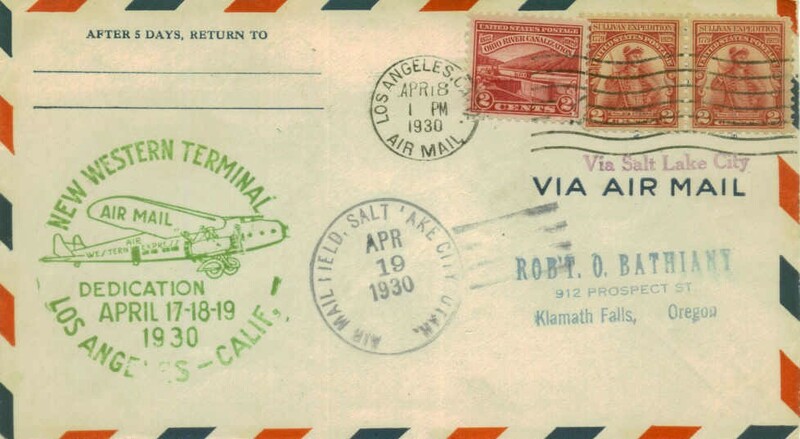 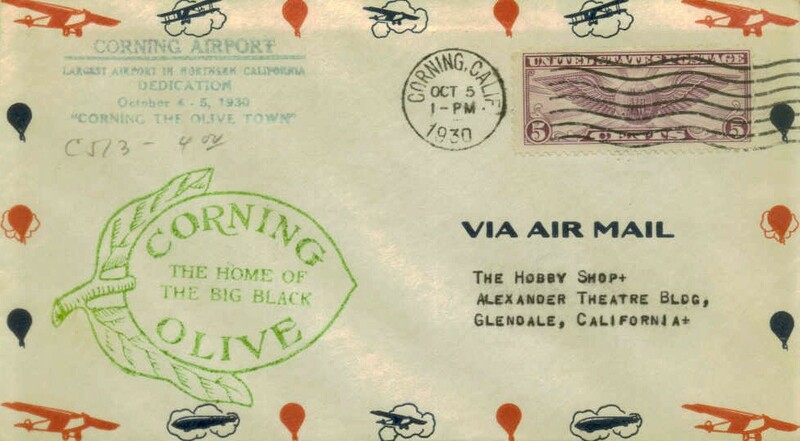 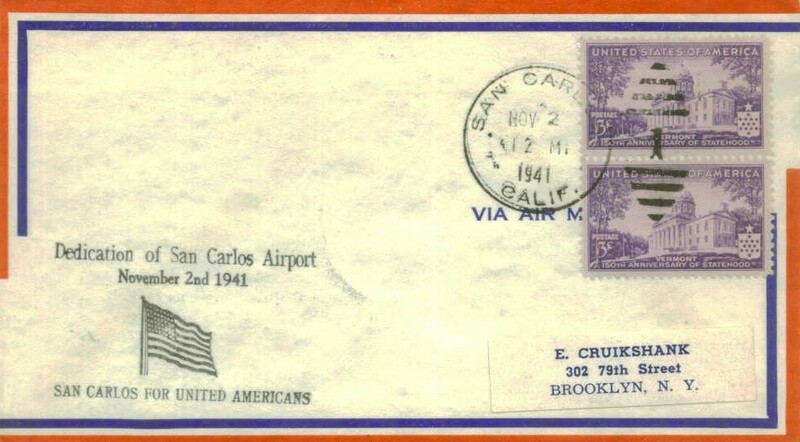 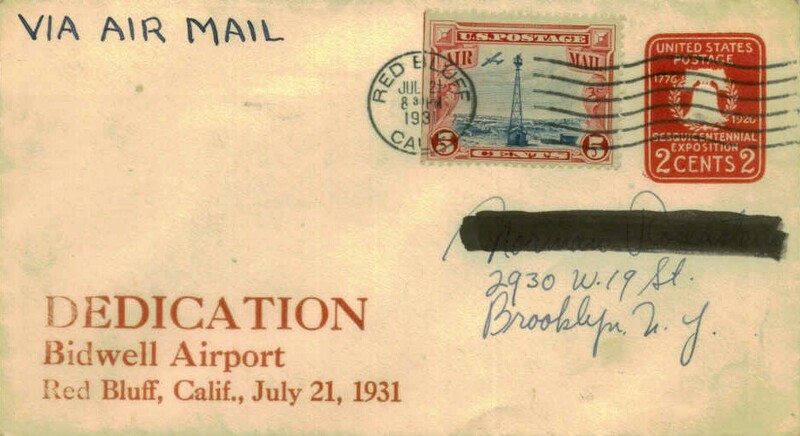 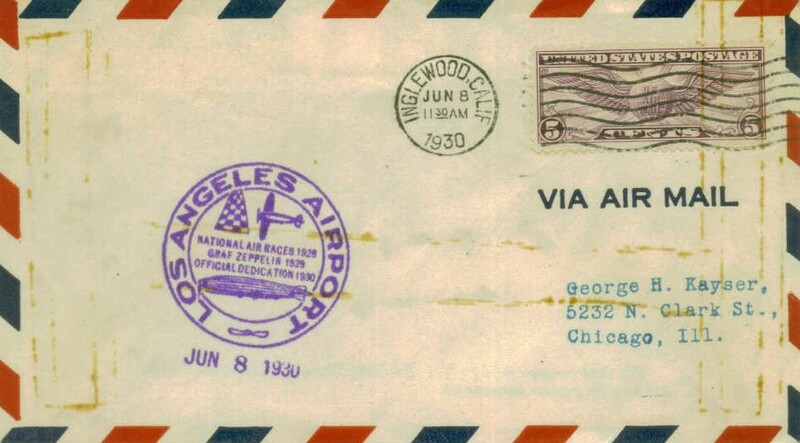 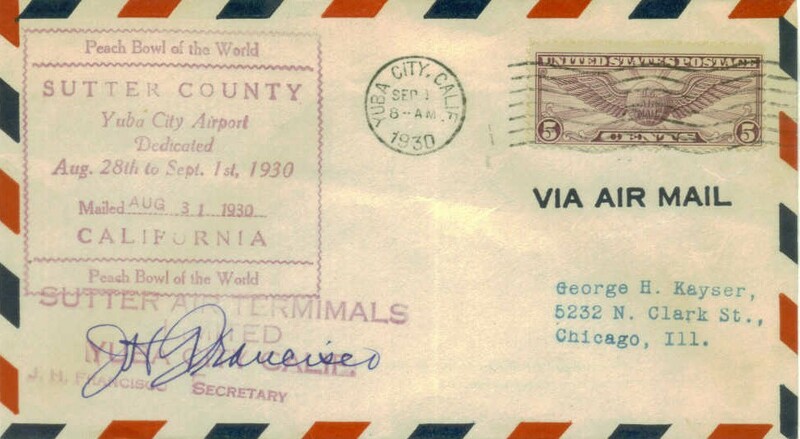 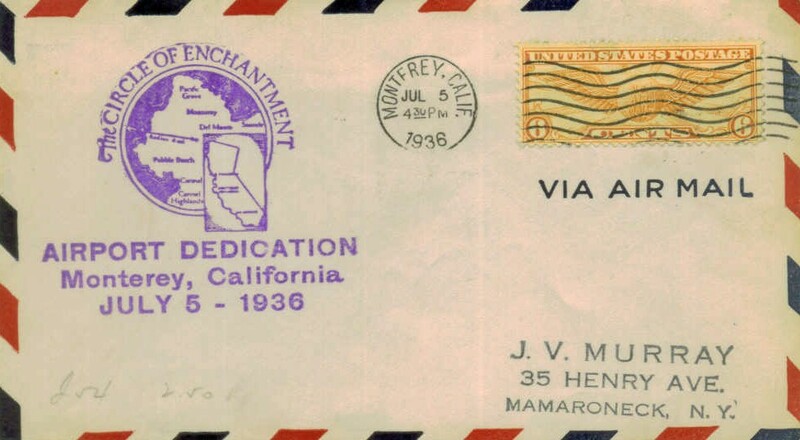 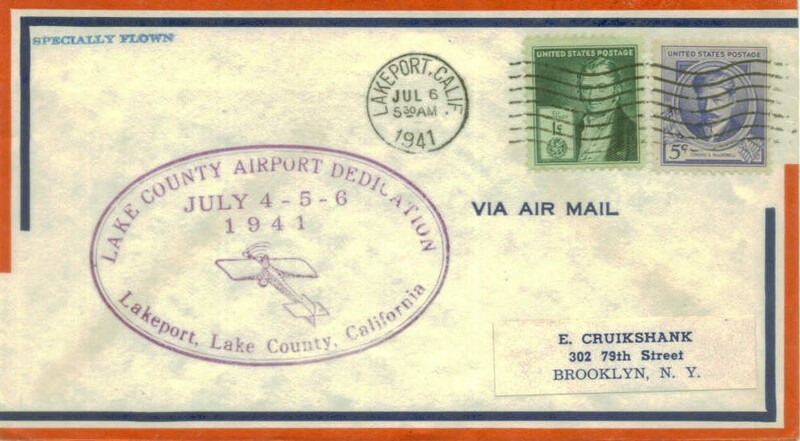 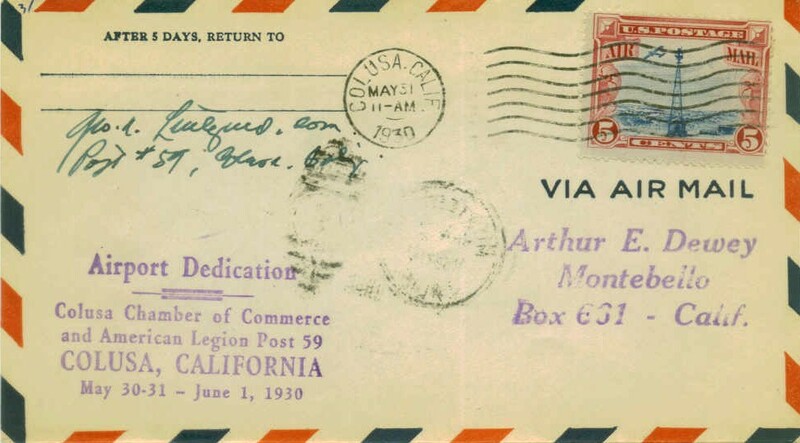 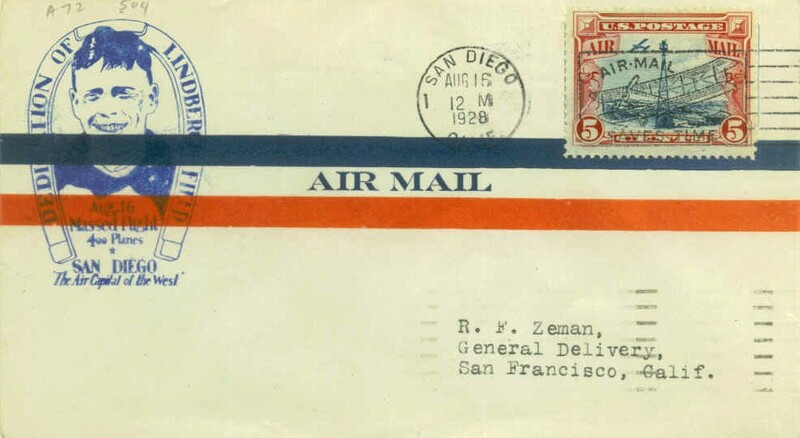 Aviator Glenn L Martin flew from Domingez Field about four miles to Compton CA where he dropped the mail from the plane. 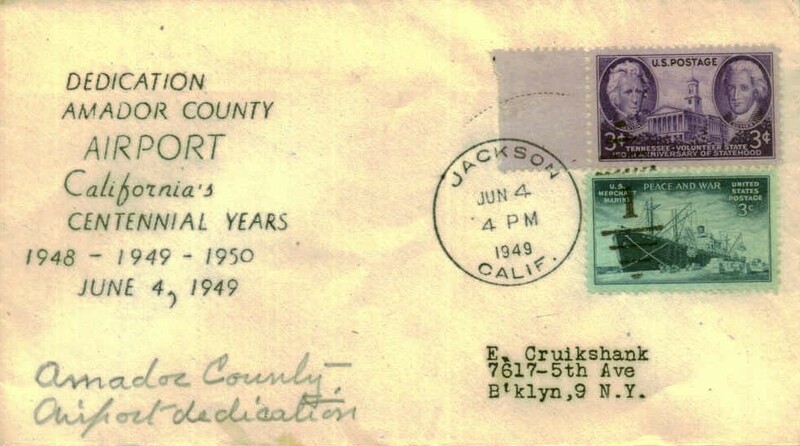 The mail was then retrieved and driven by car to the post office. 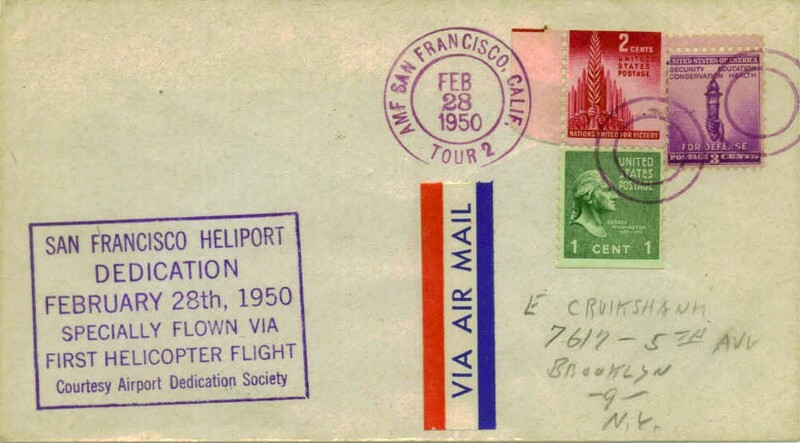 Additional pilots other than Glenn Martin that flew the mail during this international air meet included Clifford Turpin and Charles Willard. 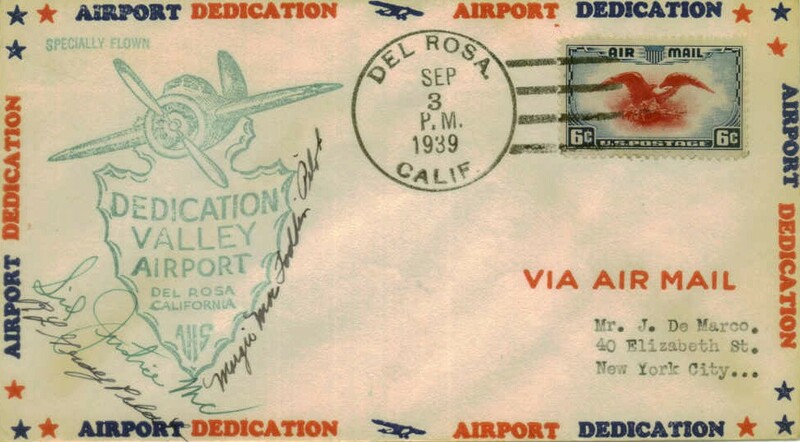 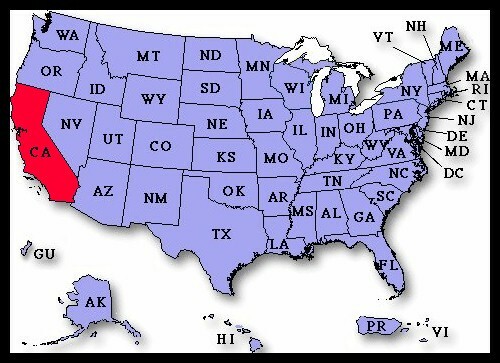 California aviation growth continued over the years. 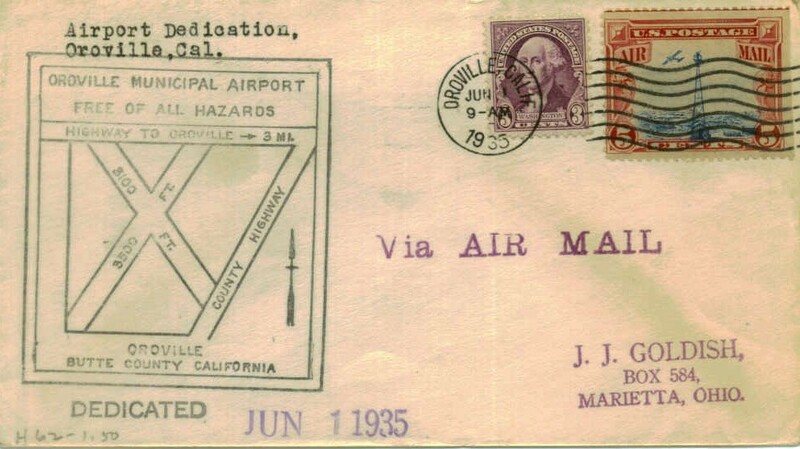 Abandoned & Little-Known Airfields in California.